With H Young Transport, sending a pallet to Prague is as simple as sending it to Peterborough! 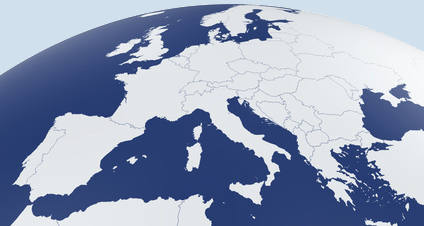 In fact, we operate comprehensive pallet delivery services to and from all major European destinations. With over 50 years experience in warehousing & logistics, H Young have the infrastructure and skills to support your European business success. H Young is a partner in Palletforce, the UK partner of ALLNET, the new way of delivering freight throughout Europe and beyond. Utilising this collective strength of an alliance of the top European pallet networks enables H Young to give your business a cost effective European-wide reach. Choosing the right UK logistics company to deliver your European freight efficiently and cost effectively is vital to your business success. H Young is the right choice!